Every now and then I give “two thumbs up” to a business offering excellent products and terrific customer service. 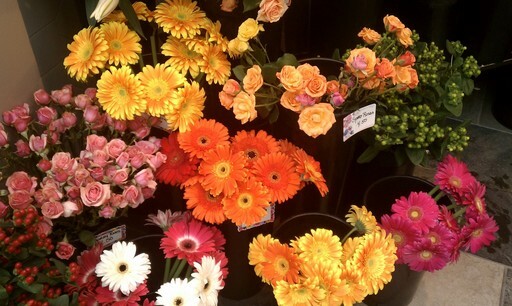 Today I give a rousing recommendation for Louis Barry Florists. The reason? I’m walking through the Prudential Center in Boston this morning after a killer Zumba workout (Thanks Katie at FitCorp!) when my eyes are pulled to the gorgeous flower display at the Louis Barry stand. I’m talking bright orange, red and yellow daisies and big, lush blue and white hydrangeas and deep purple orchids laden with blooms that droop with majesty!! Louis Barry consistently showcases a rich variety of flowers with a vibrant color palette, varied shapes and sophisticated textures! I’ve purchased many arrangements at the Pru store and at the International Place store for birthdays and holidays, even for trade shows and events I’ve managed. 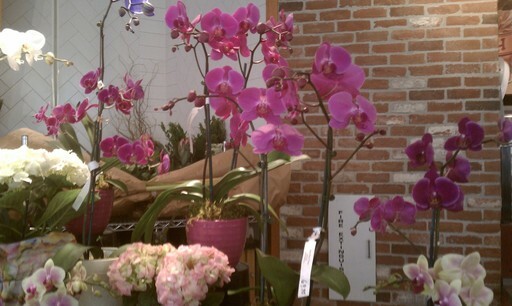 Both stores vibrant flowers and an orchid selection that can’t be beat! The staff is talented, attentive and courteous. If you are looking for flowers and plants that will inspire, call or visit Louis Barry. NOTE: I have no affiliation with Louis Barry Florists and take no compensation for this endorsement. 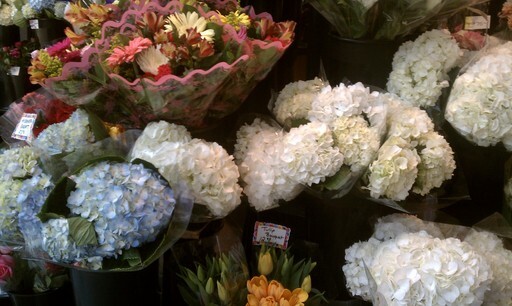 This entry was posted in Accolades, Florist Shops, Kudos, Recommendations. Bookmark the permalink.